张新沙,宋旭东,苏暐光,卫俊涛,白永辉,于广锁. 宁东煤煤焦-CO2气化反应特性的原位研究. 燃料化学学报, 2019, 47(4): 385-392. 张峰,孙浩,张建树,严帅,曲旋,张荣,毕继诚. Fe的分散程度对煤焦催化加氢气化的影响. 燃料化学学报, 2019, 47(4): 402-410. 闫政浩,何润霞,王丹丹,班延鹏,宋银敏,李摇娜,刘全生. 胜利褐煤低温氧化过程中微结构的转化特性研究. 燃料化学学报, 2019, 47(4): 411-418. 周上坤,王摇萌,谭厚章,熊小鹤,吕钊敏,杨富鑫. 蛭石对高钠高钙准东煤结渣特性影响研究. 燃料化学学报, 2019, 47(4): 419-427. 李宁,马彩萍,张成华,杨勇,李永旺. MOFs衍生炭负载的钴基催化剂的廉价制备及其CO加氢催化性能. 燃料化学学报, 2019, 47(4): 428-437. 纪学玮,葛庆杰,孙剑. 协同高效的铁催化剂构建及其在CO2加氢制高碳烃中的应用. 燃料化学学报, 2019, 47(4): 438-445. 郑珂,王永钊,胡晓波,武瑞芳,刘晓丽,赵永祥. 还原-氧化预处理对Co3O4催化分解N2O性能的影响. 燃料化学学报, 2019, 47(4): 455-463. 张燕杰,陈崇启,詹瑛瑛,叶远松,娄本勇,郑国才,林棋. CuO/ZrO2催化水煤气变换反应制氢:ZrO2载体焙烧温度的影响. 燃料化学学报, 2019, 47(4): 464-473. 郭忠森,祖运,惠宇,秦玉才,王焕,张晓彤,宋丽娟. 烯烃对噻吩在介孔分子筛Al-MCM-41活性位物种上吸附脱硫机制的影响. 燃料化学学报, 2019, 47(4): 474-483. 李昊,闫锋,杨少斌. 改性固体超强酸S2O82-/ZrO2-CoO用于FCC汽油氧化脱硫的研究. 燃料化学学报, 2019, 47(4): 484-492. 徐彬,谢建军,袁洪友,阴秀丽,吴创之. 填充床介质阻挡放电脱除气化燃气中苯的研究. 燃料化学学报, 2019, 47(4): 493-503. 翟勃银,陈颖,梁宇宁,李永超,梁宏宝. BiVO4/MOF复合材料的合成及其光催化性能. 燃料化学学报, 2019, 47(4): 504-512. This work aims to investigate the structural evolution of the char during gasification under a single or mixed atmosphere of H2O and/or CO2 with the synchronized investigation of the effect of the varying char structure on the gasification reactivity. The experimental char was prepared from a bituminous coal at 1000℃. The changes of the char structure along with the progress of the carbon conversion during gasification were characterized using N2 adsorption, SEM, and Raman spectroscopy. The results revealed that H2O showed a more dramatically change on the char structure than CO2 and two reactants had different reaction pathways. The different pathways of reactants affected the evolution manners of the char structure and different gasification reactivity of char was related to structural evolution. The specific reaction rate between the char and CO2 decreased monotonously with increasing carbon conversion. However, the opposite trends are observed when H2O exist, either H2O alone or the mixtures of H2O and CO2. The char gasification reactivity was under the common effect of physical and chemical structure. In terms of the mixture of H2O and CO2, the significant specific surface area caused by H2O provided more active sites for CO2. The interactions between H2O and CO2 promoted reaction between C and CO2 (C + CO2 → CO) in mixtures of H2O and CO2, leading to higher amount of CO and higher specific reaction rate than calculated. Huan WANG,Jiao KONG,Mei-jun WANG,Li-ping CHANG. Structural evolution of a bituminous coal char related to its synchronized gasification behavior with H2O and/or CO2. Journal of Fuel Chemistry and Technology, 2019, 47(4): 393-401. Y-Co3O4 catalysts with Y/Co molar ratio of 0.03 were prepared by several methods, such as one-step hydrothermal, two-step hydrothermal, and impregnation methods, to catalyze the decomposition of N2O. Among these catalysts, the one prepared by one-step hydrothermal method exhibited the highest activity, and then the Y-Co3O4 catalysts with various molar ratios of Y/Co were synthesized by one-step hydrothermal method. Subsequently, the optimized 0.03Y-Co3O4 was impregnated by K2CO3 solution to prepare K-modified catalyst and named as 0.02K/0.03Y-Co3O4. These catalysts were characterized by X-ray diffraction (XRD), nitrogen physisorption, hydrogen temperature-programmed reduction (H2-TPR), oxygen temperature-programmed desorption (O2-TPD), scanning electron microscopy (SEM), and X-ray photoelectron spectroscopy (XPS) techniques. The results show that both Co3O4 and Y-Co3O4 exhibit spinel structure, however Y-doped Co3O4 catalysts are more active than bare Co3O4. After further modified by potassium, the 0.02K/0.03Y-Co3O4 reveals higher activity due to the more active sites (Co2+) and easier desorption of surface oxygen species than un-modified 0.03Y-Co3O4. In detail, the temperatures of N2O full conversion over 0.02K/0.03Y-Co3O4 catalyst are 325, 350, 375℃, under the reaction atmospheres of 1%N2O+Ar, 1%N2O+2%O2+Ar, 1%N2O+2%O2+8.2%H2O+Ar, respectively. In addition, over 90% conversion of N2O can be maintained at 350℃ after continuous reaction for 50 h in the co-presence of oxygen and steam on K-modified Y-Co3O4 catalyst. There is a dynamic compensation effect between apparent activation energy (Ea) and pre-exponential factor (A) in N2O decomposition over Y-Co3O4 and K-modified catalysts. Tian-qi ZHAO,Qiang GAO,He-jian LI,Xiu-feng XU. Catalytic decomposition of N2O over Y-Co3O4 composite oxides prepared by one-step hydrothermal method. Journal of Fuel Chemistry and Technology, 2019, 47(4): 446-454. 李海杰,李晓红,冯杰,李文英. 预热处理对褐煤热解过程氧元素迁移的影响. 燃料化学学报, 2019, 47(1): 1-7. 高建,苏胜,许凯,崔晓宁,刘利军,张春秀,汪一,胡松,向军. 温度及水蒸气对煤焦中氮赋存形态及演化特性影响研究. 燃料化学学报, 2019, 47(1): 8-13. 靳虎,王泽安,阳维,宁坚,谢逸豪,刘豪. 高碱煤含钠矿物沉积层的高温熔融及多相反应过程分析. 燃料化学学报, 2019, 47(1): 31-38. 袁松,黄艳琴,刘华财,袁洪友,庄修政,阴秀丽,吴创之. 低温水热预处理对高蛋白小球藻N分布和藻渣热解特性的影响. 燃料化学学报, 2019, 47(1): 39-52. 袁鑫华,唐国徐,张立强,朱锡锋. Ba2+沉淀法提取生物油馏分中的酚类物质. 燃料化学学报, 2019, 47(1): 53-59. 吴昊,范明明,张萍波,蒋平平. 新型Brønsted-Lewis双酸位碳基固体酸的制备及其催化生物柴油的合成. 燃料化学学报, 2019, 47(1): 60-65. 隋猛,李法社,吴学华,王霜,李明. 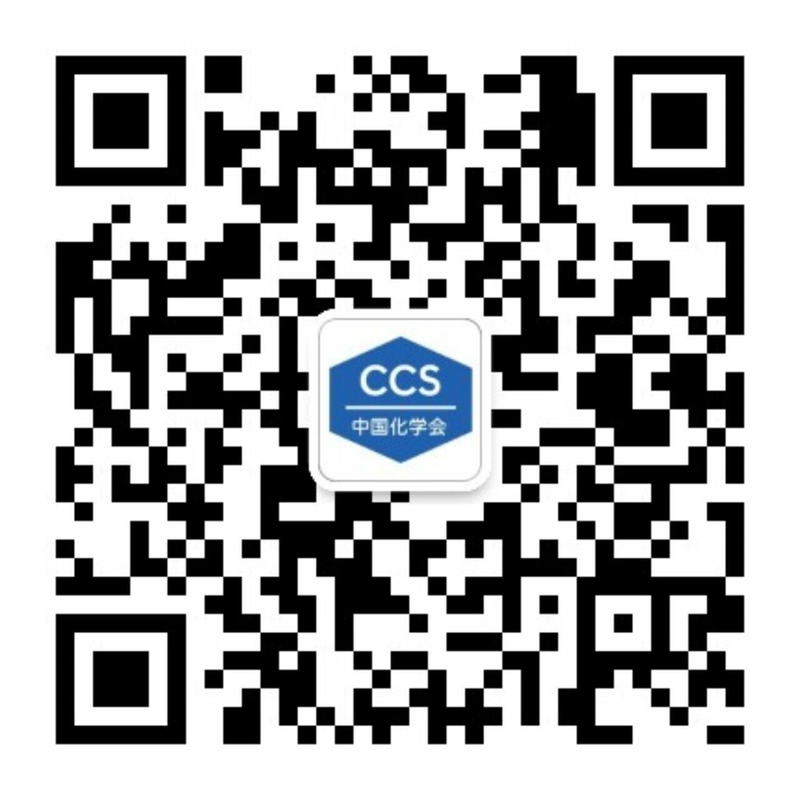 阴离子功能化生物柴油离子液体抗氧化剂[X][C6H5COO]的制备. 燃料化学学报, 2019, 47(1): 66-73. 郑华艳,章敏,付华,张华成,李忠. 同晶取代法制备Cu-Ni双金属催化剂及其催化CO加氢合成乙醇性能. 燃料化学学报, 2019, 47(1): 84-91. 牛茹洁,王成章,刘晓越,易春雄,陈梁,米铁,吴正舜. 负载Fe2O3的Zr基钙钛矿催化剂对逆水煤气反应的影响. 燃料化学学报, 2019, 47(1): 92-97. 吕巧雅,李龙龙,李亚方,毛金花,陈婷,赵燕杰,刘立强,李鲁艳. Cr掺杂Cu2O的光催化性质的第一性原理研究. 燃料化学学报, 2019, 47(1): 98-103. 王鑫博,李秀萍,赵荣祥. EMIES/p-TsOH型低共熔溶剂的合成及其氧化脱硫性能的研究. 燃料化学学报, 2019, 47(1): 104-112. 张晓奇,沈伯雄,张笑,陈叮叮. 负载Mn的Fe基MOFs脱汞剂烟气脱汞研究. 燃料化学学报, 2019, 47(1): 113-120. 杨文申,林均衡,阴秀丽,吴创之. 垃圾衍生燃料热解半焦气化过程中HCl与H2S析出规律. 燃料化学学报, 2019, 47(1): 121-128. A degradative solvent extraction at around 350℃ for low-rank coal or biomass wastes upgrading and fractionation was proposed in our previous work. The extraction yield of low-rank coal is relatively lower than that of biomass. In this work the blends of low-rank coal and biomass were treated by this method at 350℃ to investigate the interaction between them. The results showed that the yields and elemental compositions of the extracts obtained from the blends were slight different to the calculated results, which were calculated by assuming that there was no interaction between the coal and biomass. The slight promotion of yield was judged to be caused by the catalytic action of the minerals in the coal for thermal decomposition of biomass. It was worth to note that the elemental composition, molecular weight distribution, chemical structure, thermal decomposition behavior and thermoplastic behavior of the extracts obtained from low-rank coal, biomass and their blend, were rather similar to each other, independent of the properties of the raw feedstocks. Overall, the interaction between low-rank coal and biomass during the extraction was not significant. On the other hand, the proposed degradative solvent extraction method was fit not only by single low-rank coal and biomass but also by their blends to produce the product having similar physicochemical properties. This implied that an industrial system of degradative solvent extraction can use coal, biomass or their blends as feedstock at the same time without modification or adjustment. Yi-ming JIAN,Xian LI,Xian-qing ZHU,Ryuichi ASHIDA,Nakorn WORASUWANNARAK,Zhen-zhong HU,Guang-qian LUO,Hong YAO,Mei ZHONG,Jing-mei LIU,Feng-yun MA,Kouichi MIURA. Interaction between low-rank coal and biomass during degradative solvent extraction. Journal of Fuel Chemistry and Technology, 2019, 47(1): 14-22. Four thermal dissolution soluble fractions (TDSFs) with different thermal dissolution soluble yields (TDSYs) obtained from thermal and co-thermal dissolutions (CTDs) of a Chinese sub-bituminous Shenfu (SF) coal and lignin were characterized by elemental analysis, FT-IR and synchronous fluorescence spectrum measurements. The hydro-liquefaction properties of the four TDSFs and SF raw coal with and without catalyst were compared and the recycled use property of the catalyst in hydro-liquefaction of the TDSF from CTD of SF coal and lignin was further probed. The results suggests that the TDSF from the thermal dissolution (TD) of SF coal contained much more amount of aromatic components and polyaromatic hydrocarbons (PAHs) with 4 and more rings than those from the CTD of SF coal and lignin at the same temperature. TDSFs gave much higher liquefaction conversions and oil yields than SF raw coal in hydro-liquefaction with or without catalyst. Almost all TDSF was converted with much high yield of oil and the TDSF from CTD of SF coal and lignin gave higher yield of oil than that from the TD of SF coal in hydro-liquefaction with Ni-Mo-S/Al2O3 catalyst which demonstrated a good reusability in the hydro-liquefaction of TDSF from the CTD of SF coal and lignin. Carbon deposition was hardly observed in the 4 times recycle used catalyst. De-hai ZOU,Xue YANG,Heng-fu SHUI,Xiao-ling WANG,Chun-xiu PAN,Zhi-cai WANG,Zhi-ping LEI,Shi-biao REN,Shi-gang KANG,Zhan-ku LI,Jing-chong YAN,Charles Chunbao XU. Liquefaction of thermal extracts from co-thermal dissolution of a sub-bituminous coal with lignin and reusability of Ni-Mo-S/Al2O3 catalyst. Journal of Fuel Chemistry and Technology, 2019, 47(1): 23-30. A series of H-ZSM-5 zeolites with a silicon to aluminum ratio of 50-4000 but similar crystal size were synthesized and characterized by XRD, N2 sorption, NH3-TPD and Py-FTIR; the intrinsic effect of silicon to aluminum ratio on the selectivity to propene in the conversion of methanol to propene (MTP) was investigated. The results show that a complete conversion of methanol can be initially achieved over H-ZSM-5 with a silicon to aluminum ratio from 50 to 1600 and then the initial conversion of methanol decreases progressively with further increasing the silicon to aluminum ratio. Meanwhile, the selectivity to propene increases monotonically with an increase in the silicon to aluminum ratio of H-ZSM-5 for MTP with a complete methanol conversion, suggesting that a high Si/Al ratio for H-ZSM-5 may enhance the propagation of the alkene-based methylation/cracking cycle relative to the arene-based methylation/dealkylation cycle in MTP. A critical value of acid density, viz., [AS]S, is required to achieve the maximum propene selectivity for MTP with a complete methanol conversion; this critical[AS]S value is 0.175 μmol/m2 for the H-ZSM-5 zeolite under current reaction conditions. Hui-wen HUANG,Hui ZHU,Shan-he ZHANG,Qiang ZHANG,Chun-yi LI. Effect of silicon to aluminum ratio on the selectivity to propene in methanol conversion over H-ZSM-5 zeolites. Journal of Fuel Chemistry and Technology, 2019, 47(1): 74-83.